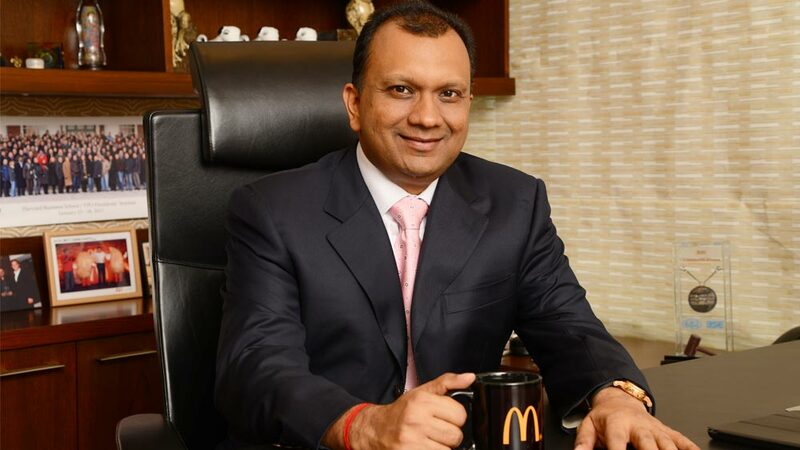 Amit Jatia who tried McDonald’s at the age of 14 in Japan wouldn’t have thought that he would be running the global QSR giant in India when they were out looking for a partner in the country. It was in 1994 when McDonald’s came looking out for the right partner, Jatia, who was then involved in his family owned chemical business, convinced his father in joining hands with McDonald’s. Their first store opened in 1996. “The reason of a successful partnership I believe is, keeping our customers’ requirements always our priority,” shares Jatia, who was one of the early pioneers to introduce the concept of QSR in India. From being a complete alien concept to now being a go-to option suiting every occasion, the group has come a long way. In the last two decades, their partnership has remained strong with the constant support from the McDonald’s Global. “We have continued to make bold moves to create a better McDonald’s to delight our customers,” smiles Jatia, who is currently running 265 stores across West and South India. From the first store in 1996 in Mumbai to 265 stores across South and West India in 2017, Jatia has come a long way with an immense learning and evolving with the consumers. The group has focused on continuously reinventing themselves to bring out the best in class innovations and raise the bar for the industry. “The key to our success is the fact that we became locally relevant to the people in India,” points Jatia, who introduced McAloo Tikki to Dosa Masala Brioche to Chatpata Naan- they have Indianised themselves to stay ahead of the curve. Jatia also introduced EOTF (Experience of the Future) restaurants, the first ever QSR restaurant in India to offer a fine dine experience with state-of-the-art technology such as air chargers, tablets for gaming, self-ordering kiosks along with table service and sustainable initiatives to provide seamless customer experience. Jatia runs his business on a simple mantra: “Think global, act local and sell like a retailer”. When Jatia started the journey in 1996, the group was known as a big American multi-national brand. After the initial euphoria settled and they were faced with the reality that people believed that any glass establishment which is air conditioned is expensive and McDonald’s is anything but that. So shedding the inhibition was the first thing that broke the barrier, followed by the next set of people to come in who were looking for affordability and therefore localisation became the corner stone of the strategy for McDonald’s. “I am proud to say that at McDonald’s, we have regularly looked at bringing in something new and different to fulfil our customers’ expectations, needs and demands. From localizing our food menu to adding international cuisines under our latest campaign ‘Flavours Without Borders’ we strive to cater to a diverse audience,” concludes Jatia, who is planning to double the restaurant base by 2022 by investing from 265 stores as of today. WDL also plans to invest Rs. 750–800 Cr in next 5 to 7 years with the vision of introducing newer offerings and keep our customers more satisfied.